Treatment Intake Treatment intake is the process of entering a holistic rehab center for the first time. Detox Detoxification is the process of eliminating the residual substances that are left in the body. Rehabilitation Holistic rehabilitation is where the real work towards recovery and sobriety takes place. Aftercare Following detox and rehabilitation, many require additional support and monitoring to ensure continued success in recovery. Three of the main symptoms of withdrawal from a variety of drugs as well as from alcohol include: cravings, anxiety, and depression. These three symptoms are also the hardest to get rid of. There are many treatments for withdrawal but none are as noninvasive and natural as aromatherapy. Aromatherapy is the practice of alleviating certain symptoms using scents. Although it has become extremely popular in recent years, aromatherapy is not new. The earliest record of anyone using scents to heal is prior to 7000 BC. Ancient people understood the healing properties that certain plants and certain scents had. They often used them to gain energy, find a center, or relax. Neolithic tribes often preserved the scents much as we do today. They would drop the flower or plant into animal fat and then bottle or jar it. These ancient people would then use the bottled scents for rituals, rites of passage, and in healing ceremonies. According to the National Library of Medicine’s archived article “Aromatherapy in the Management of Psychiatric Illnesses: Clinical and Neuropharmacological Perspectives,” aromatherapy is in use all over the world to treat a variety of psychiatric symptoms. It is an important tool for the management of the symptoms of drug and alcohol withdrawal. Aromatherapy uses scents diffused in various ways to help people overcome drug and alcohol withdrawal. Aromatherapy is the practice of burning essential oils or scents to create an atmosphere or to invoke specific emotions. Professional aroma therapists design these oils specifically for the treatment of different illnesses, emotional disturbances, and conditions. Ancient peoples used aromatherapy to influence mood and behavior in both religious ceremonies and in stressful situations. There are records of ancient people burning combinations of herbs before they rode into battle to influence fear and other emotions. An aroma therapist does much the same thing today. Aromatherapy is often included in the holistic and alternative approaches to medicine. Doctors and therapists use the knowledge that we have about aromatherapy to help people with adjustment issues, and mood disorders as well as those who have problems with addiction. Aromatherapy is not a cure all. It is not the practice of magic or any other witchcraft. It is also not something that will instantly work on everyone. Aromatherapy is also not sitting around sniffing things. When people think of aromatherapy, they often think it is fringe science or some sort of fake medicinal practice. It is not. Much of the aromatherapy movement is grounded in history and science. There is ongoing research into the use of essential oils and aromatherapy as a treatment for a variety of conditions. World-renowned scientists and doctors are conducting this research into whether aromatherapy really works and which natural herb works the best for which condition. In addition, many aroma therapists are also experimenting with combinations of herbs. One common practice is to come up with a variety of herbal treatments to try until they find one that works. This is similar to medicine when doctors try different medications to find one that works to alleviate a specific condition. Increasing mental clarity, many addicts have trouble thinking clearly in the first days of sobriety. Certain essential oils can help to make the mind clearer. Lifting depression, most of the drugs on the black market today cause depression when a person stops taking them. There are many other benefits to using aromatherapy to combat withdrawal and addiction. Most of the benefits are short term but they can provide some much needed help and relaxation for addicts while they are learning new behaviors and ways of coping. The benefits of reducing cravings cannot be overlooked. One of the things that is said to cause relapse is the intense cravings experience by recovering addicts. Aromatherapy can provide a substitute for the drugs thereby reducing the craving to a manageable level. Like any form of treatment, aromatherapy has drawbacks. One of the main drawbacks of it, is that it is a subtle therapy. This means it works but not as dramatically as some other treatments. It reduces cravings but does not stop them entirely. It helps a person into sleep but does not make them sleep immediately. Many people have a difficult time believing that aromatherapy works because of this subtlety. Another drawback of aromatherapy is the misconceptions about it. Many people believe that aromatherapy is not a viable or practical treatment. They believe that it is a form of fringe medicine and not worth study. Doctors Hawken, Fiol, and Blache did just that. They performed anxiety tests with lavender and found that lavender reduces the amount of cortisol in the blood and overall motor agitation in sheep, proving that some aromatherapy techniques had a basis in science. The final drawback of aromatherapy lies in the fact that it is far more effective when combined with other treatments. Treatments such as massage therapy and meditation have better outcomes than treatments without it. Even though it is sometimes used on its own, the increase in benefits to the recovering addict are worth combining it with many of the other types of therapy. Diffused oil – the therapist places the oil in a diffuser and then heats it. The diffuser can be a small waxed stick or a heated bowl. This is to turn the oil into vapor and spread it throughout a room. This is the most common type of aromatherapy. Essential oils on the skin – essential oils are placed on the skin with a dropper. Where it is placed depends on the scent and condition it is designed to treat. This is a personal scent meant to only affect the person it is applied to. In a bath – aromatherapy oils, waxes, bath beads, and other types are placed in a bath with Epsom salts and hot water. The therapeutic agents give off their scents in the bath water and allow the user to relax. During a massage – massage therapy has gained popularity recently. When combined with aromatherapy it is a proven treatment particularly for relaxation. The oil is either rubbed into the skin or burned around the patient, helping them to relax and release stress. During a counseling session – aroma therapy can calm an agitated patient simply by being in the room that the session is taking place in. Many modern counselors use aroma therapy in their therapy sessions to calm both themselves and their patients. There are many other types of aromatherapy and it is often combined with other treatments to make it and them more effective. 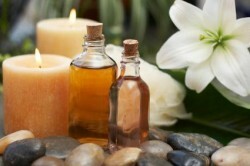 The therapist chooses the oil and scent combination as well as the type of treatment he or she feels is most effective. 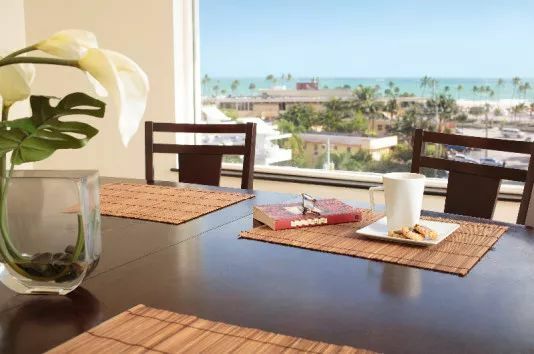 In the main office, waiting areas, the visitor’s room, and common areas of a facility to keep people calm and relaxed during initial interviews, visits, and other functions. In the recovering addict’s rooms, an individual scent profile functions like a relaxation device. Certain scents and oils also are known to reduce cravings for their drug of choice. In private sessions, a therapist might use an oil combination to facilitate the therapy session. This is true of massage therapy sessions as well. On the body, a therapist might recommend a recovering addict use a variety of oils to help them with their symptoms. Since aromatherapy is portable, therapists recommend that a patient use it anywhere that they feel stressed, triggered, or craving the drug of choice. Each time the scent reinforces the feeling of relaxation or relief. Some studies say that the more a person uses aromatherapy the better it works. This could be because the user is building a scent memory between the aromatherapy and positive feelings. This is a common side benefit that aromatherapy produces in some people. Anise – benefits a recovering addict by reducing cravings of sugar. Sugar cravings are indicative of alcohol and cocaine withdrawal. Bergamot – reduces stress-based anxiety, fear, and compulsions. Therapists use this to treat compulsive disorders. Chamomile – this herb is for relaxation as well as anxiety, anger, and other negative stress inducing emotions. It is also mixed into a tea for added benefit. Eucalyptus – this relaxation herb also works to reduce cravings for alcohol. It is also used to treat nausea and headaches. Fennel – this common herb is for dispelling cravings for a variety of common substances. Frankencense – this herb promotes clarity of the mind and helps addicts recover from the brain fuzziness that many feel. It is also good for letting go of things that people hold onto in their mind. It reduces cravings for sedatives. Today frankincense is burned inside many churches and during Catholic processions and ceremonies. Geranium – this common scent is most useful for stimulant addiction. It warms people as well as induces a state of relaxation therefore combating stress. Lavender – as one of the most well known aromatherapy herbs this helps with sleep, stress, relaxation, anxiety, and depression. It produces a comforting effect when burned around recovering addicts. Lavender is the most popular scent for air fresheners, detergents and soaps because it is said to be extremely calming and relaxing. This is just a small list of essential oils used. There are thousands to choose from and many aroma therapists are well versed in the use of herbs as healing. There are aroma therapists who study herbal medicine for years before using aromatherapy on recovering addicts. Anyone can benefit from aromatherapy. If the therapy is matched to the addiction, a therapist can provide a measure of relief using essential oils. Each addiction is different and each person responds to different scents in different ways. An aroma therapist is well versed in these ways and can use all of the herbs at his or her disposal to make recovery just a little bit easier. Many herbs have other healing properties as well. An example of this is chamomile and lavender, separately they are both sleep inducing but when a therapist combines them they produce a very calming and relaxing effect that not only puts an addict to sleep but keeps them asleep for a while. There are so many records of aromatherapy helping people with addiction or compulsive issues that it is hard to discount it as a form of treatment. Most people who use aromatherapy describe it as extremely beneficial and calming to the mind. Aromatherapy lifts many of the symptoms of addiction slightly allowing the addict to continue with other treatments and learn the skills they need to completely recover. GENERAL DISCLAIMER: Holistic.org is designed for educational purposes only and not engaged in rendering medical advice. The information provided through Holistic.org should not be used for diagnosing or treating a health problem or disease. It is not a substitute for professional care. If you have or suspect you may have a health problem, you should consult your health care provider. The authors, editors, producers, sponsors, and contributors shall have no liability, obligation, or responsibility to any person or entity for any loss, damage, or adverse consequences alleged to have happened directly or indirectly as a consequence of material on this website.